Speaking as a veteran, I don’t see any good reason why veterans should be considered off-limits for the kind of mockery directed at other people — especially politicians. If you’re running for public office, or even just expressing a political opinion, while playing the “veteran” card, whining like a three-year-old when someone makes fun of you kind of blows the whole Sergeant Stryker image. 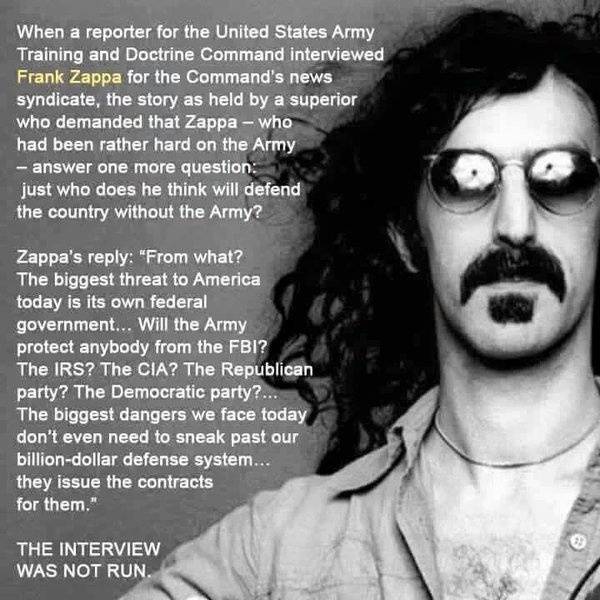 Frank Zappa: The Army defends us from WHAT? The biggest threat to America today is its own Federal government … Will the Army protect anyone from the FBI? The IRS? 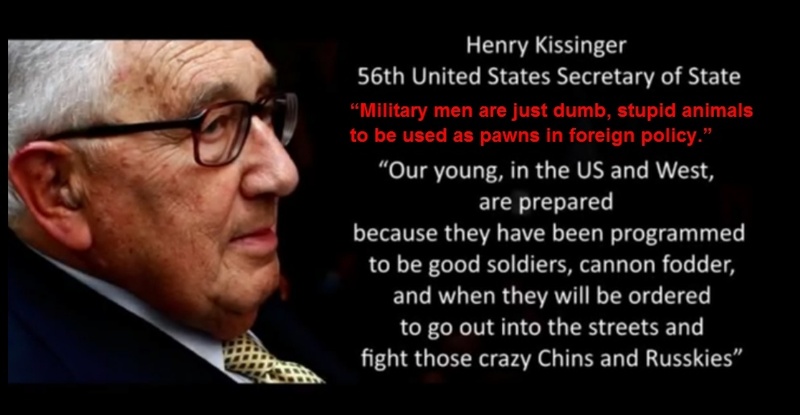 The CIA? The Republican Party? The Democratic Party? … The biggest dangers we face today don’t even need to sneak past our billion-dollar defense system… they issue the contracts for them. Xref: What Did Amal’s Life Buy for You?